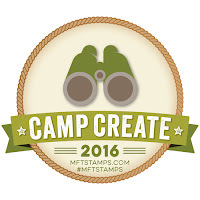 for when the storm clouds come in, the eagles soar while the small birds take cover." 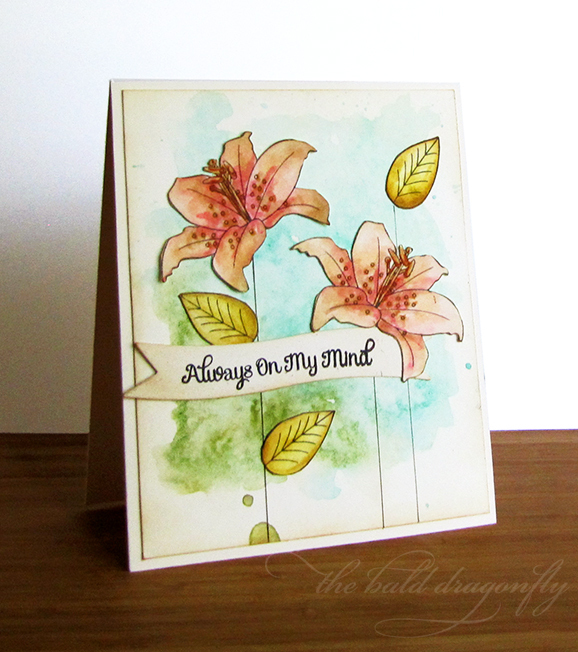 (as seen in the following link) for the Winnie & Walter's Rerun Challenge #13.
so I used my favorite The Big, The Bold and Extras Stamp Set. 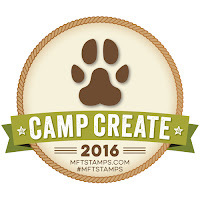 and then how she simply stamped and heat embossed them in white. I also tried to use the same color palette as Heather's. I applied some Ebony Black Nuvo Gloss Crystal Drops. Seriously, these drops are addicting! I started by stamping the beautiful blooms from In Bloom with peach ink. I then loosely painted them with watercolor, going outside the lines. 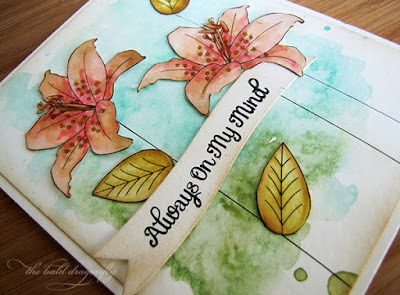 I splattered some peach paint over the blooms and after this panel was dry, I stamped some leaves and a sentiment from Communique Curves in navy ink. I must admit, the panel was quite larger, but the navy ink got everywhere and I ended up with a tiny panel that I backed with dimensional adhesive and adhered a strip of navy cardstock to make up the difference of the width of the card. I was about to give up, but I really liked the artistic feel of the blooms and leaves and just ended up with a simple layout. 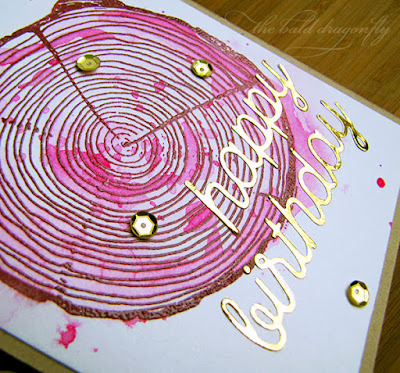 I learned from a Google Search (of course, since all the other research methods I grew up with seem to be long forgotten...) that Dendrochronoly, or tree-ring dating, is the scientific method of dating based on the analysis of patterns of tree rings, or growth rings. I think that Concord & 9th created a perfect replica of this in their Tree Ring Background Stamp. 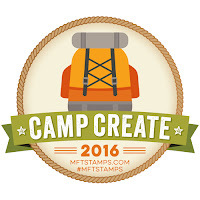 It is beautiful stamp and I want to use it on everything. 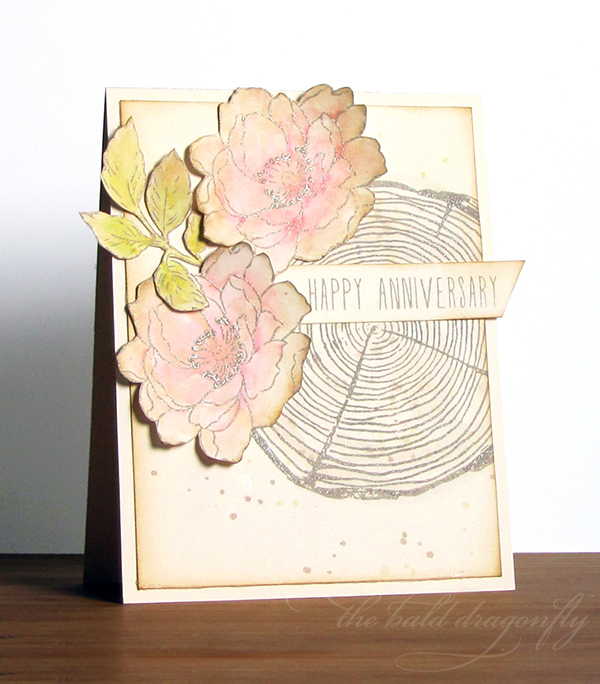 This card was inspired by the current Ellen Hutson August Pin-Sights Challenge, especially the photo in the upper left corner with the beautiful pink blooms set in front of a faded, white, wood frame. 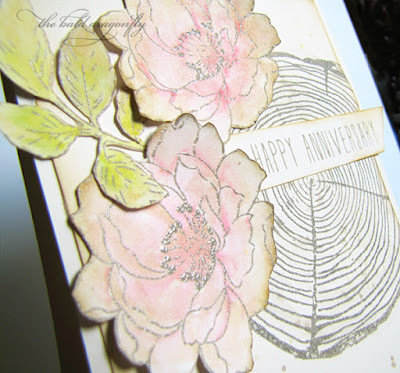 I used the Tree Ring Background Stamp as a background for the beautiful blooms from Altenew's Beautiful Day Stamps and the classic font sentiment from Ellen Hutson's Essentials by Ellen Twelve Days Companion Greetings by Julie Ebersole Stamp Set. 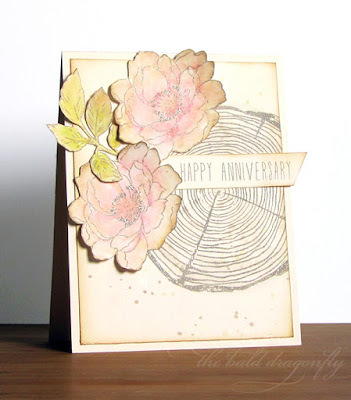 I stamped in birch pigment ink and heat embossed in clear the ring onto a vanilla carstock panel and the blooms and leaf onto Bristol Smooth Cardstock. I colored the with zigs the blooms and leaves, fussy cut them out and arranged them onto the tree ring. I then stamped the sentiment onto a banner and tucked it behind the blooms. The edges were inked and the panel mounted onto a vanilla card base. I'm totally convinced that the animals in the forest have a party every night, as when I leave my window open I hear all sorts of noises in the woods a few feet from my room. And if there was a party, the chipmunks would crawl on top of the fawn's back, and the bluebirds would perch on the chippie's tail. I'm playing along with A Blog Named Hero's August Challenge: Pop of Color. 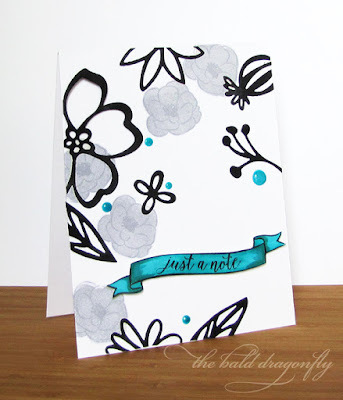 I started with a soft stone cardstock panel that was embossed with a bit of texture. I then used the small stamps from both Hero Art's Spring Hello by Lia and Deck the Halls by Lia and some pigment ink to stamp some stacked forest animals. I arranged a bit of flora on each side of the animals in gray ink and then a sentiment with black ink underneath. 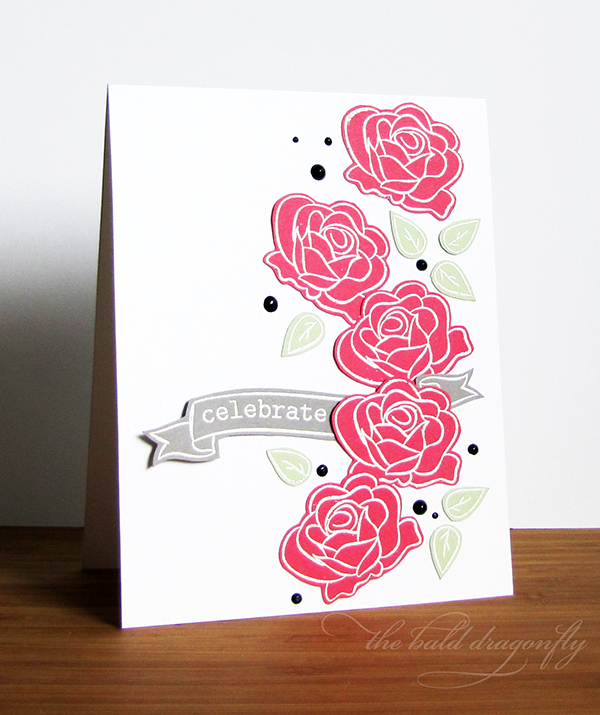 I also added some white paint splatters and then mounted the panel onto a white card base. I finished by adding a touch of black details to each of the animals. 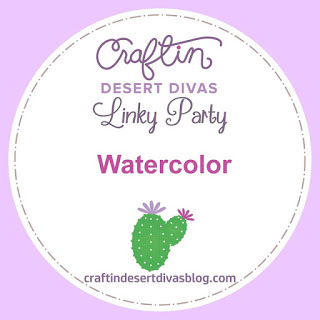 Sometimes, just sometimes, coloring outside the lines is fun, liberating almost! The Heart Desires Challenge 3. I decided to focus on the woodgrain and metallic, and skipped the succulents, just because I really wanted the beautiful Tree Ring Stamp to shine! 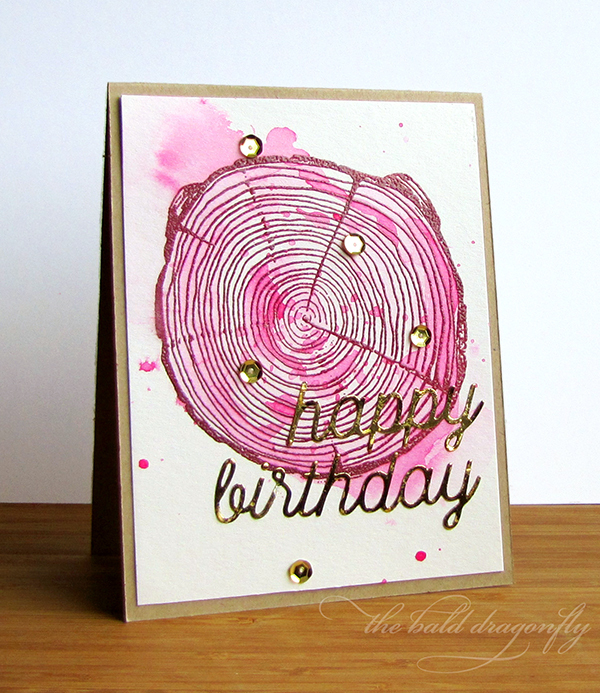 I first stamped the Concord & 9th Tree Ring in some maroon pigment ink onto watercolor paper and heat embossed it in clear. I then added some fuchsia watercolor to the ring, going outside the lines in some areas. After the image dried, I adhered the panel onto a kraft card base. 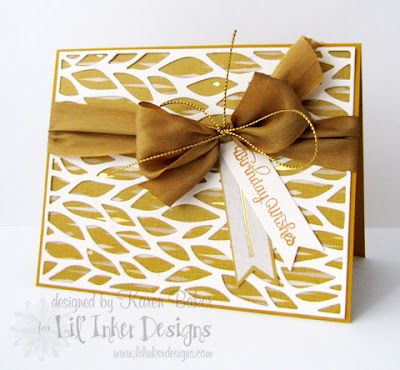 I then die cut the sentiment out of gold foil and finished the card with a few gold sequins. "Maybe I didn't love you, Quite as often as I could have, And Maybe I didn't treat you, Quite as good as I should have, If I made you feel second best, Girl I'm sorry I was blind. 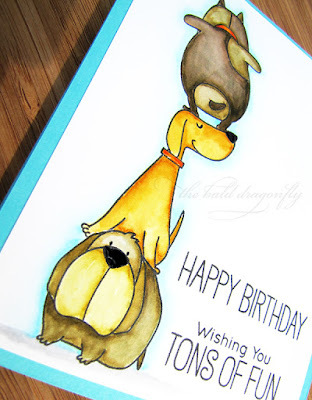 Good ol' Willie came to mind when I saw this older sentiment and I knew I had to make a soft card to go along with it. I was humming this song the entire time putting this together too! 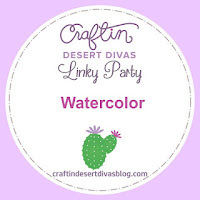 I played along with the Craftin Desert Divas Linky Party: Watercolor. I started by loosely watercoloring a background panel with a bit of blue and bit of green paint. I then stamped, watercolored and fussy cut the beautiful lillies and a few leaves from Craftin Desert Diva's Botanical Layers Stamp Set. Before adhering them to the card, I drew some "stem" lines, just go ground the images, and well, I'm used to doing this! 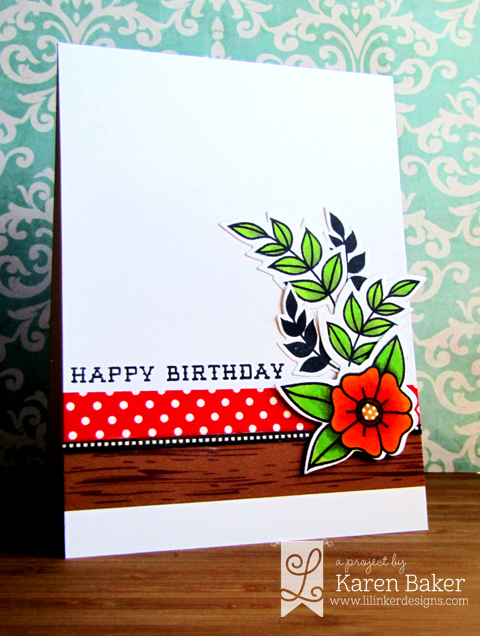 I finished the card with a stamped sentiment and banner die cut from Lil' Inker Designs. 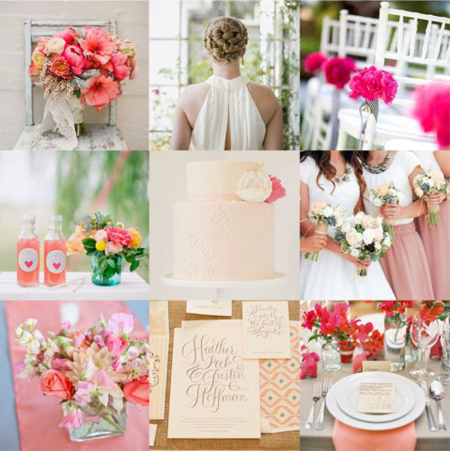 These types of flowers are among my favorites and I am doing my best to keep the plants alive year after year. I wish every year that the blooms would last longer than they do! 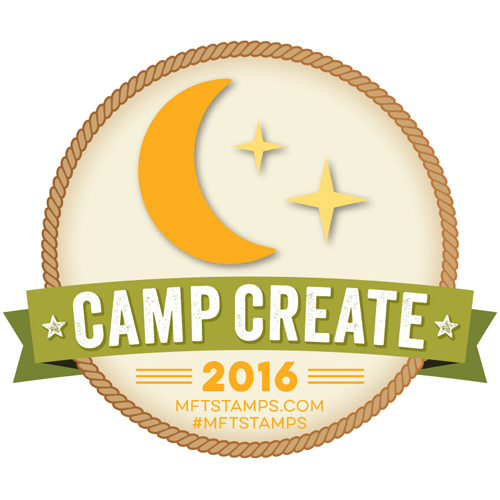 MFT' Camp held a Farewell Bonfire: Single Layer Savvy for a bonus session. 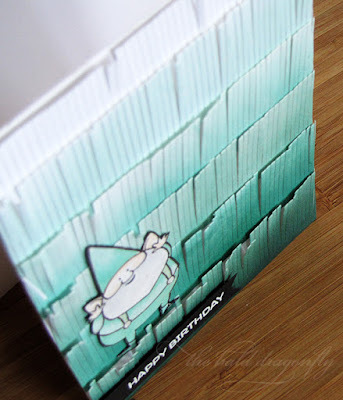 I was so excited because single layer, clean and simple cards are probably my most favorite to create! 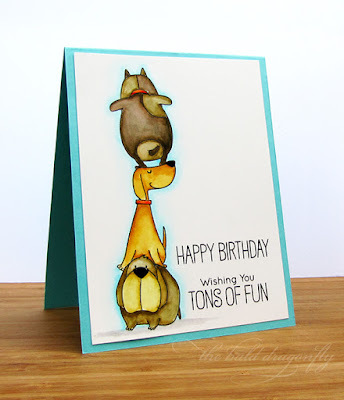 I think this card is my most favorite of the cards I've done for this session. 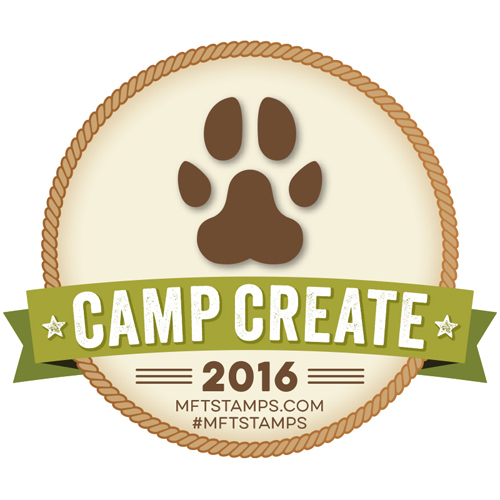 I did a bit of stamping, masking and zig coloring with the You Make My Tail Wag Stamp Set. That bottom dog's face just gets me! Gah! 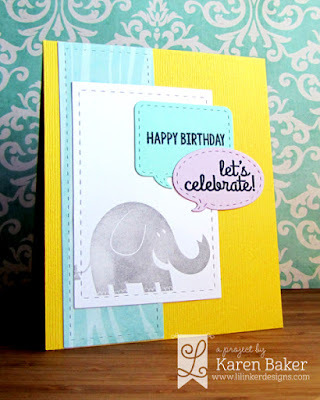 He's got a ton on his back so I thought a sentiment from Adorable Elephants would be perfect. I added a bit of detail with Black Enamel Accents to the dog's noses and Glossy Accents to the collars. 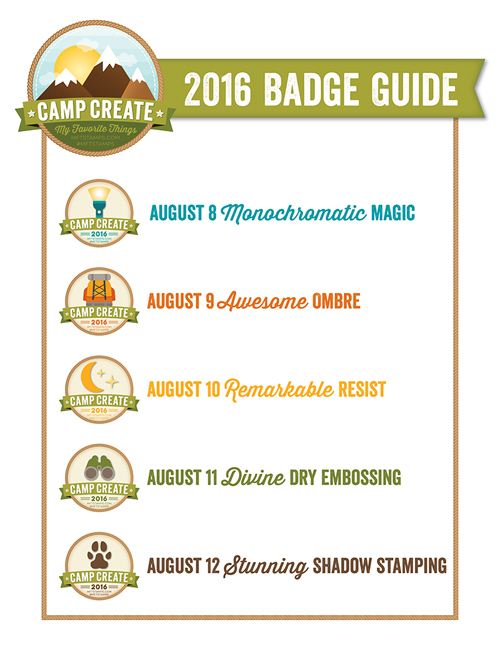 and I've enjoyed every single card I made! 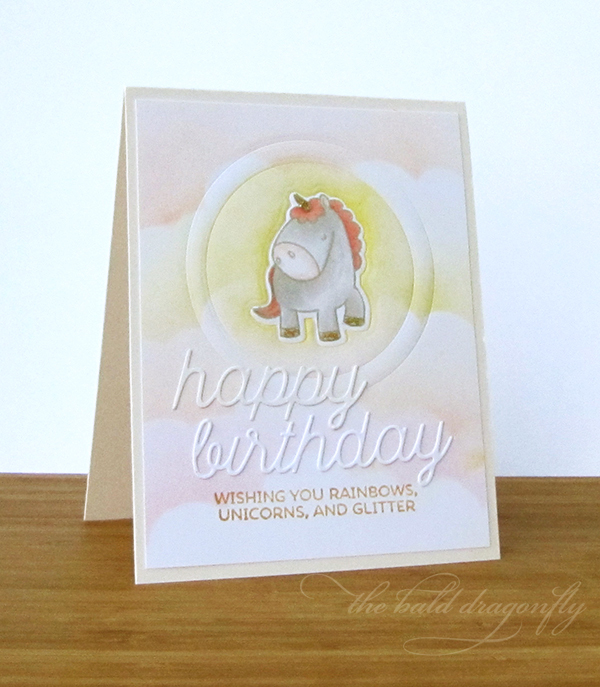 "Wishing you rainbows, unicorns, and glitter." What more could one wish for?! 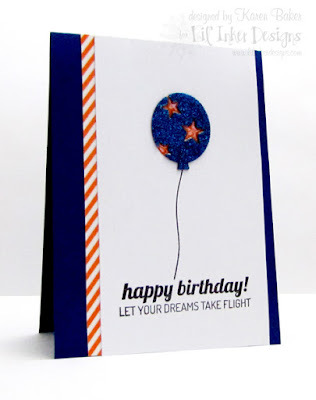 This birthday card was made with the MFT Camp Create Divine Dry Embossing Session. 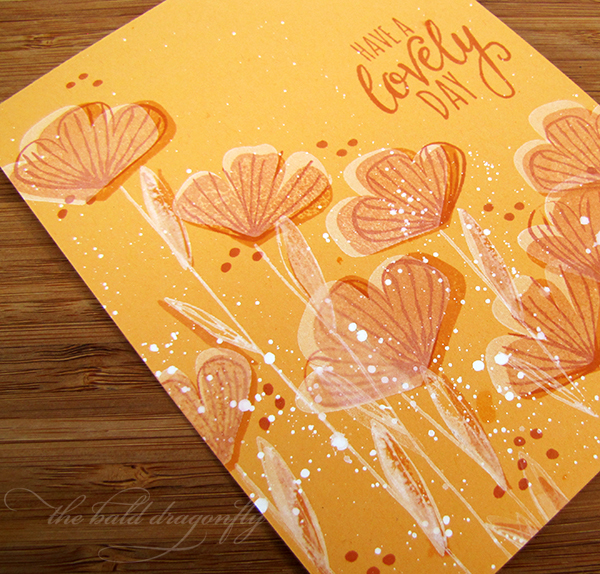 I started by inking on some clouds onto a white cardstock panel in pink, yellow and orange hues. I then dry embossed a double ring and one of the unicorns from Magical Unicorns. I then stamped the unicorn over the dry embossed shape and colored her in with Copics, adding a bit of gold sparkle to the horn and hooves and shimmer to the mane and tail. I finished the card by die cutting a birthday greeting from the Happy Birthday Dienamics and stamping a sentiment in gold ink. 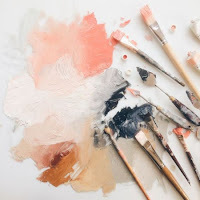 Just a note today, as I'm nearing the deadlines of two challenges. I adore participating in challenges, they get me to think outside the box a bit. Colors were derived from the pretty ColourQ Challenge #354 and I've used a mix of Essentials by Ellen products (Wild Garden Dies and Fancy Thanks Stamp Set) along with Winnie & Walter (The Big, the Bold and Extras Stamp Set) for the Essentials By Ellen August Mix It Up Challenge: Winnie & Walter. 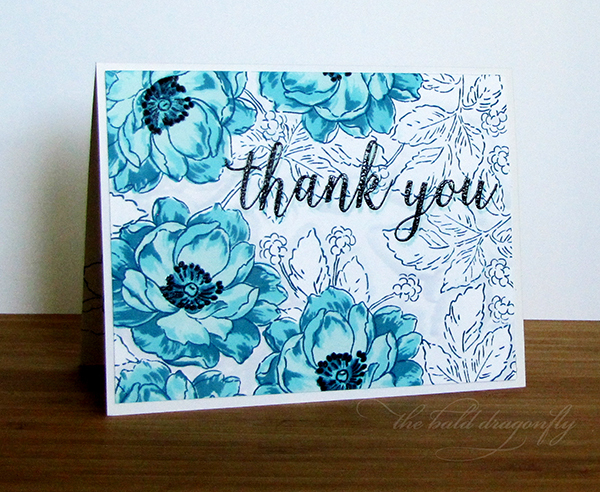 Quite the CAS card, I first stamped the solid blooms from The Big the Bold and Extras in gray and then overstamped the outlines in the same gray. 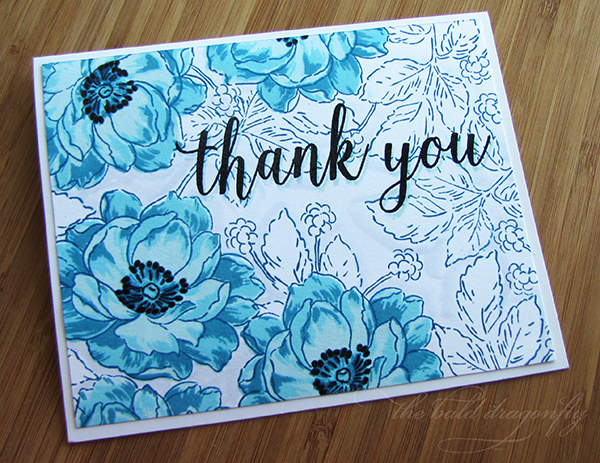 I added black die cut flowers and leaves from Wild Garden, then stamped and colored the banner from The Big the Bold and Extras and then the sentiment from Fancy Thanks. 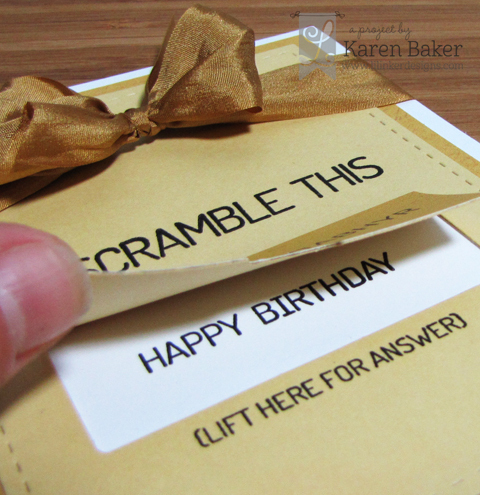 This was adhered to the card with dimensional adhesive. 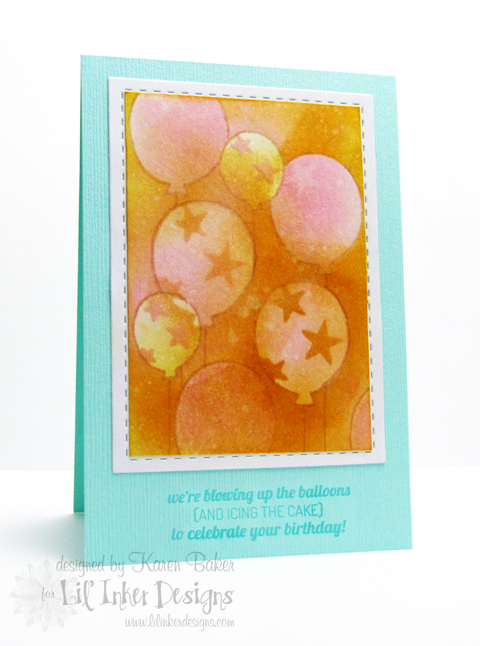 I finished the card with Caribbean Ocean Gloss Nuvo Drops. it just reaches towards the sunshine and blooms." 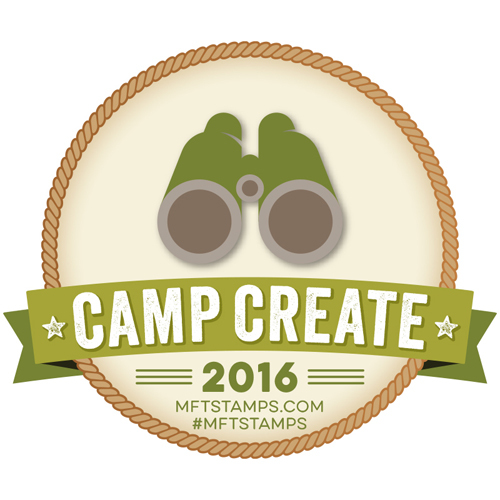 These flowers from Sketched Blooms were a natural choice for MFT's Camp Create Remarkable Resist Session. 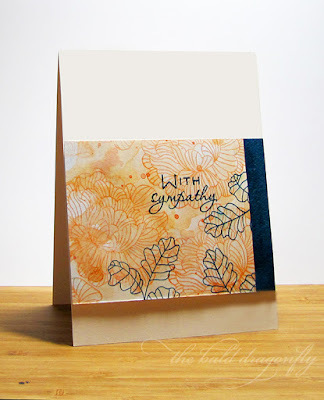 I stamped in white pigment ink a variety of blooms and stems, heat embossed in white and then inked over (resist technique) with sunrise/sunset colors. 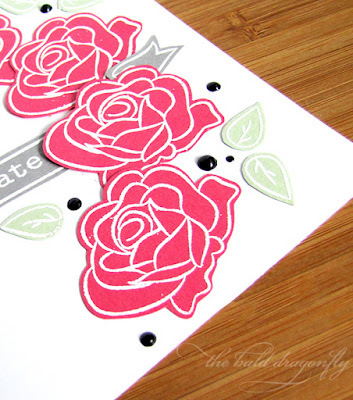 I flicked some white paint splatters and colored in some petals of the small flowers and stems with black markers. 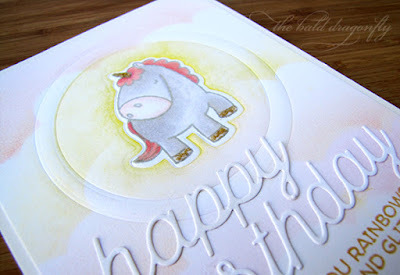 I finished the card with a black sentiment panel that had been heat embossed with a mix of sentiments from Birthday Bears and Magical Unicorns. 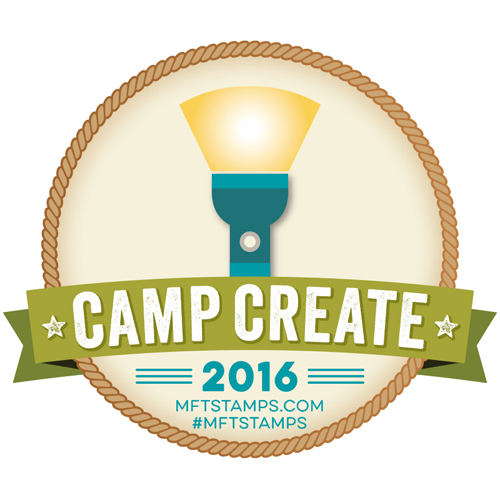 I also used Sketched Blooms to earn my badge for the MFT Camp Create's Stunning Shadow Stamping. I stamped the solid blooms and stems with white pigment ink, overstamped them with a deep blush ink, and then with a burnt umber ink stamped the detail flowers. 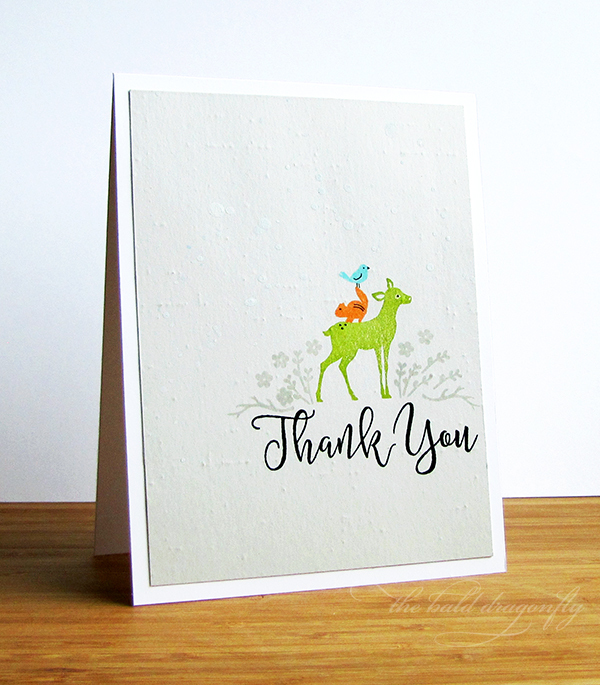 I couldn't resist and added some white splatters to this card too! I finished the card by rounding a corner and stamping a sentiment from Simon Says Stamp. 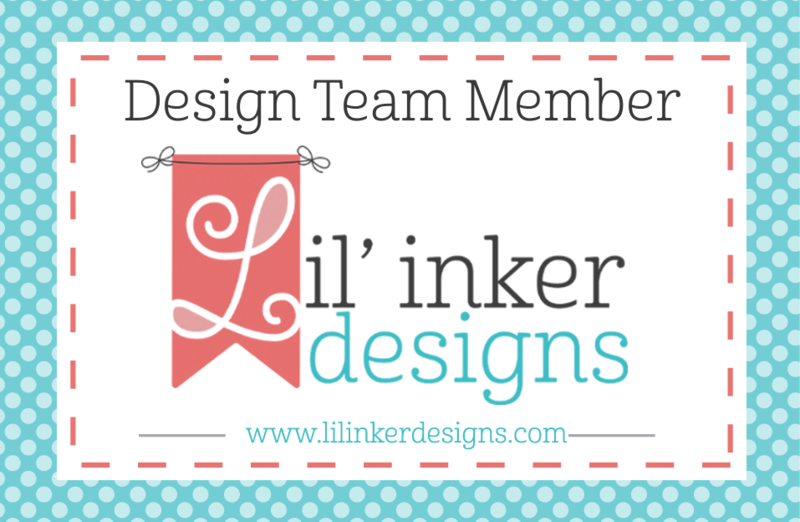 a very happy birthday as well as to celebrate the sixth anniversary of Lil' Inker Designs! 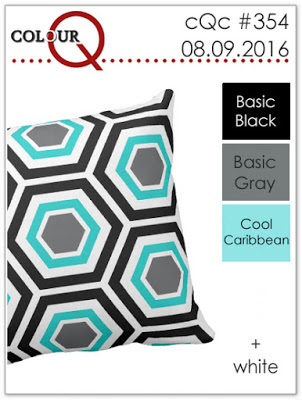 Laura just announced a sale too! I've had the pleasure to work with Laura for over five years now, and she is just one of the nicest and most talented individuals around. 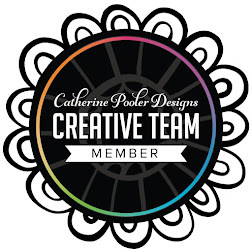 I wish I could share some of our email conversations when working on product design and development...they are a hoot! Laura is truly a gem! 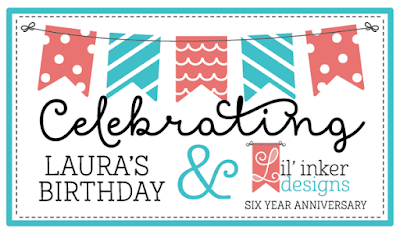 I've gathered a few birthday cards featuring Lil' Inker Designs products I've made over the course of my tenure with Lil' Inker Designs in honor of Laura and Lil' Inker Designs. 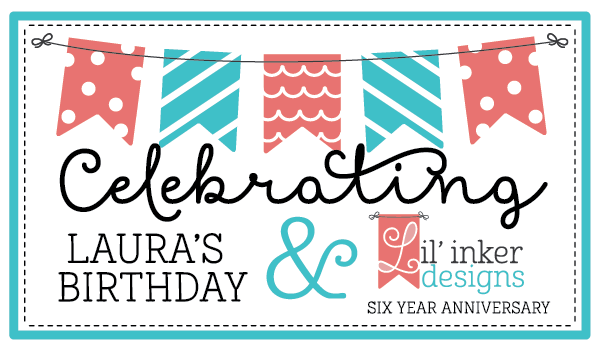 and please remember to stop by and wish Laura a very happy birthday! 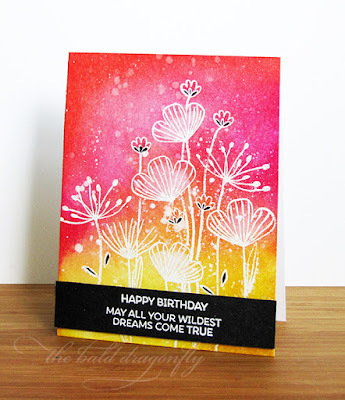 This card was created with the second challenge of MFT's Camp Create Session Three is Awesome Ombre in mind. 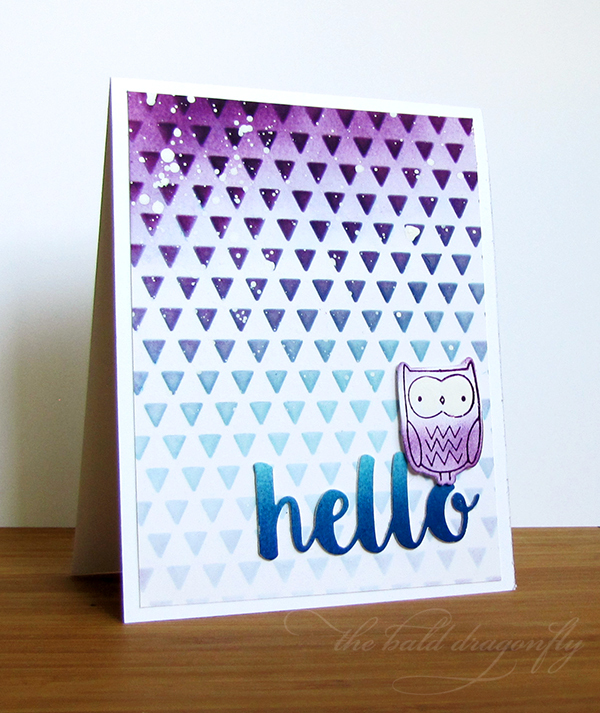 I started by laying down some intense purple ink over the Tiny Triangles Stencil onto white cardstock, and slowly faded that into light blue ink. This panel was mounted onto a white cardstock base. I then inked in an ombre fashion and die cut sentiment from the Hello There Dienamics. 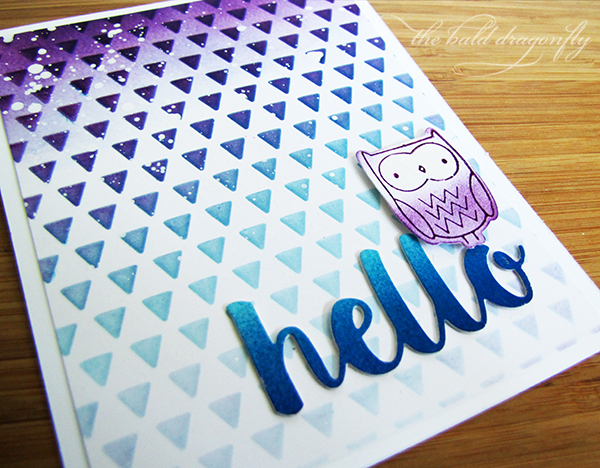 I finally stamped, inked and perched (adhered with dimensional adhesive) the owl from Forest Friends. There was a garden gnome; A funny little man. He had a big red face and held a water can. He would water plants all around the ground. Very late at night so no one else could see. How he loved to garden, it was his favorite chore. When the daylight came, he turned to stone once more. 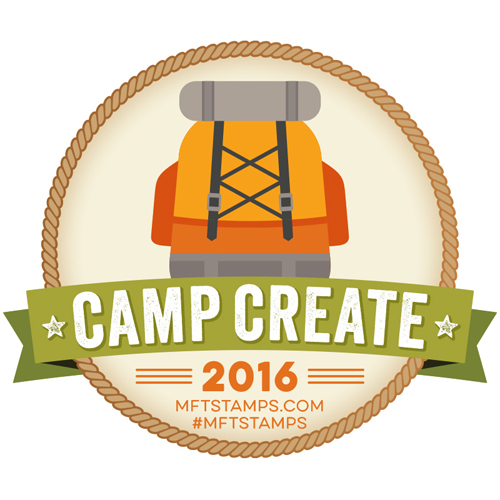 I love going to camp...MFT's Camp Create! 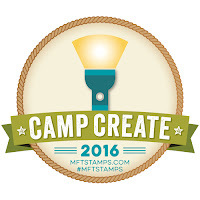 I'm participating in my third session, and sad to see it end, as that also means the end of summer is coming too. 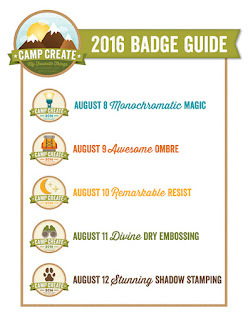 Today's card is for the Monochromatic Magic Challenge. I started by inking up a white panel of cardstock with teal-greenish inks, with heavy ink on the bottom and lighter to no ink on the top. I then cut the panel with the Fringe Die (which I can't find on the MFT site, it was the Free with $60 for July??). 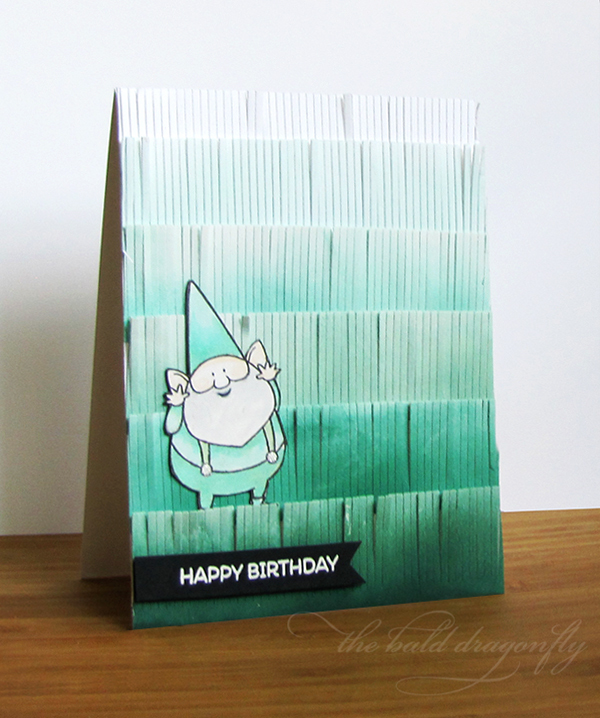 These were adhered to a white card base, to mimic grass. I tend to shy away from patterned paper, instead opting to create my own pattern with stamps. 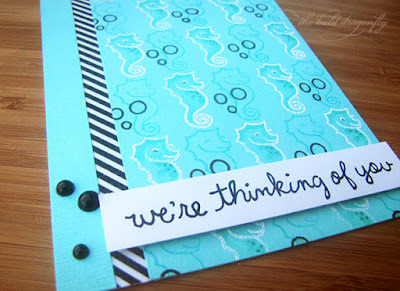 May I present to you a pattern of thinking seahorses! 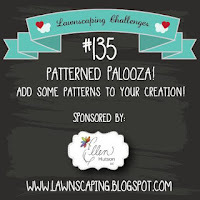 I'm sneaking in at the last minute with my entry from the Lawnscaping Challenge #135: Patterned Palooza. 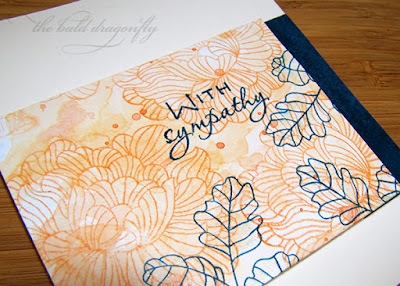 As mentioned, I didn't reach for my patterned paper, but created my own by repeatedly stamping the cute seahorse from Lawn Fawn's Critters in the Sea Stamp Set, in both an aqua colored ink and white pigment ink. I then heat embossed the white seahorses and added some detail and shading with Copic Markers. 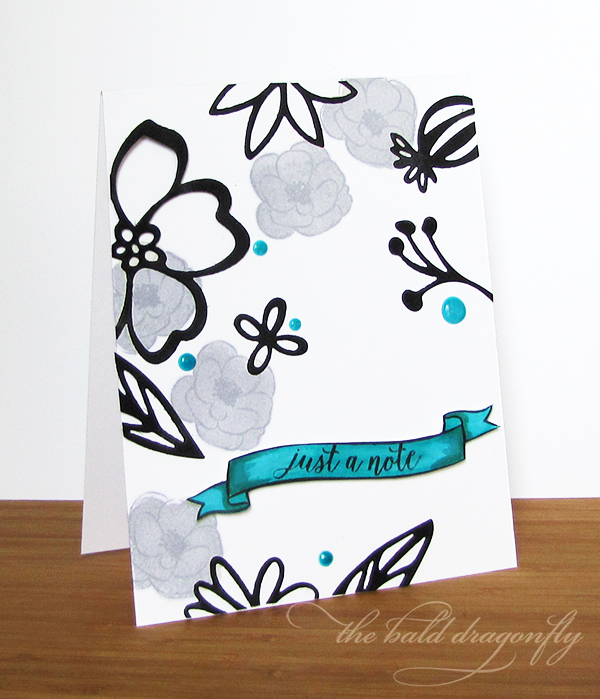 I added more to the pattern by stamping bubbles in black and covering them with Glossy Accents. 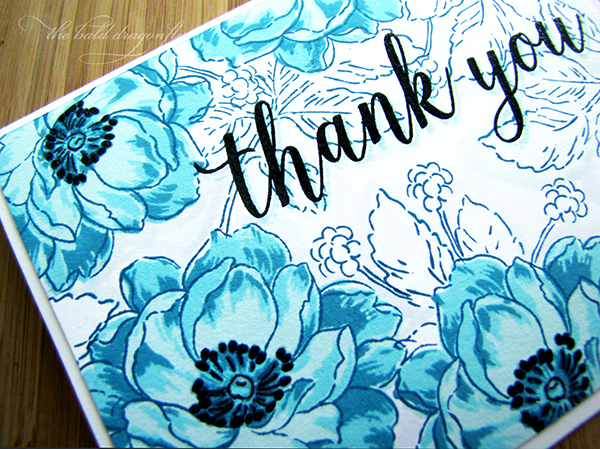 I finished the card by mounting the patterned panel to a matching card base, adding a strip of patterned black and white washi tape, and some black pearl accents. For the sentiment, I used a stamp from Sophie's Sentiments and then hand wrote the "we're"...as there were many seahorses on my panel thinking. Blue-ish Blooms. And Blue Leaves. 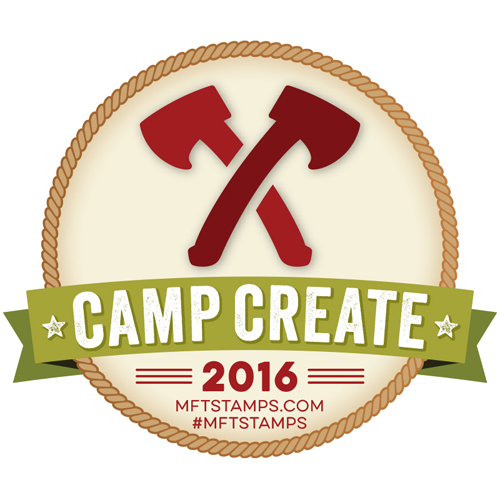 They can exist in the crafty world, right? I'm putting an entry into the "Ellen Hutson Calling All Artists Pin-Sights Challenge" Challenge. 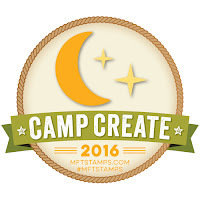 It would be really cool to be a guest designer! 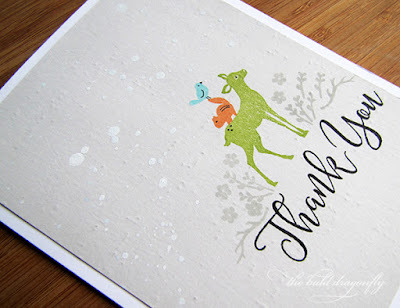 I chose to work with Essentials By Ellen Fancy Thanks and Altenew's Beautiful Day Stamp Sets. It's my first time using all four layers of the bloom included in this Beautiful Day set, and I love the results. I used one of the Altenew Blue Ink sets, Cool Summer Nights, to complete the blooms, then masked them off and stamped the leaves and buds in the darkest color from the ink set. I then outlined the edges in a cool gray copic marker. 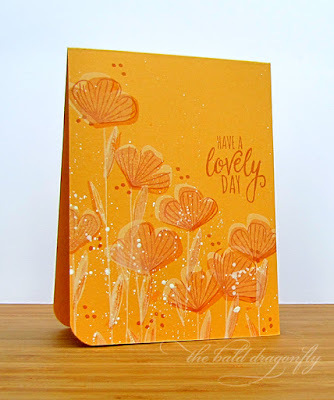 I stamped the sentiment in the lightest of inks and then overstamped and heat embossed in black, along with the stamens of the blooms.